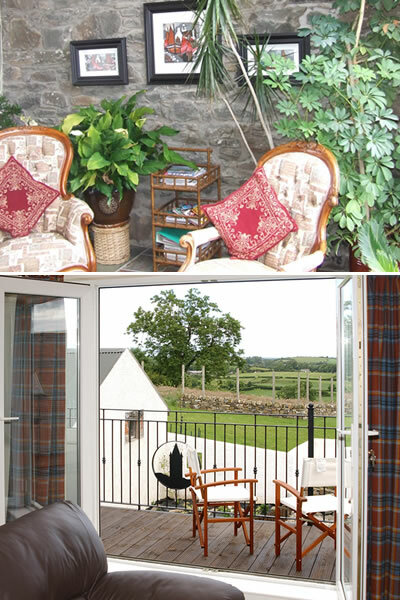 Everyone who stays at Glassdrumman Cottage is impresed by the warm welcome and hospatilty they receive. From the cosy log fire burning when you arrive, to the complimentary drinks and goodies, to the easy going checking in/out procedures; every detail is designed to ensure that visitors can enjoy a relaxing holiday in one of County Down's best kept secret holiday locations. 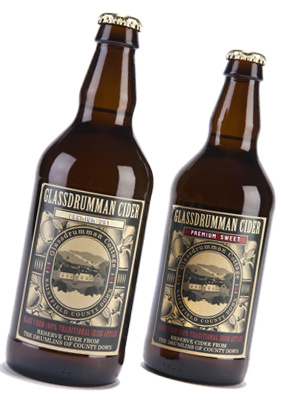 Glassdrumman Cottage was a traditional 19th century farm house on top of a drumlin amid the rolling landscape of County Down in Northern Ireland. The original property was renovated 10 years ago to creat a comfortable home-away-from-home for visitors to Northern Ireland. From the outside, Glassdrumman Cottage holds onto it's original traditional appearance, with white washed exterior walls, picture windows and stable front door. 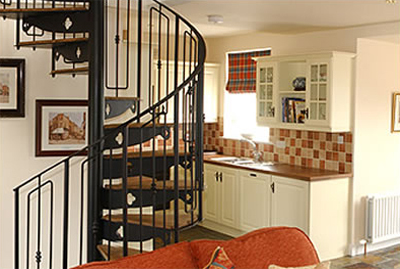 The interior of the cottage now provides all of the comforts for modern living, while still retaining a period charm, complete with antique style furniture, many pictures and paintings, and a wrought iron spiral staircase. Floors in the living areas are tiled with brown and blue slate, which compliments the traditional décor that includes plaid curtains throughout the cottage that were made from wool specially woven for Glassdrumman Cottage in the Isle of Islay. Glassdrumman Cottage is not just any holiday home; it can be your home-away-from-home the next time you visit Northern Ireland for a special get-away holiday. Glassdrumman Cottage is inspected each year by the Northern Ireland Tourist Board (NITB) under their Quality Grading assessement and was awarded a four star rating in the self-catering property category for 2015 and meets the criteria for the NITB Welcome Schemes for Walkers, Cyclists and Golfers.